Roads can devastate a landscape – scarring it, creating barriers for wildlife and accelerating stormwater so that valuable farmland, habitats and homes get washed away or polluted. What if didn’t have to be that way? What if roads would work with the grain of nature rather than against it? One of the UPGro teams, lead by Frank van Steenbergen, at Meta Meta Research, has being doing just that. Over the last year, their UPGro Catalyst project has been researching how roads can be used for rainwater harvesting on a landscape scale to recharge aquifers and ponds for later use in the dry seasons. Working closely with the Mekelle University and the Government of Ethiopia, Frank and his team (including the Institute for Development Studies) has not only been testing the theory but they have been putting into practice. 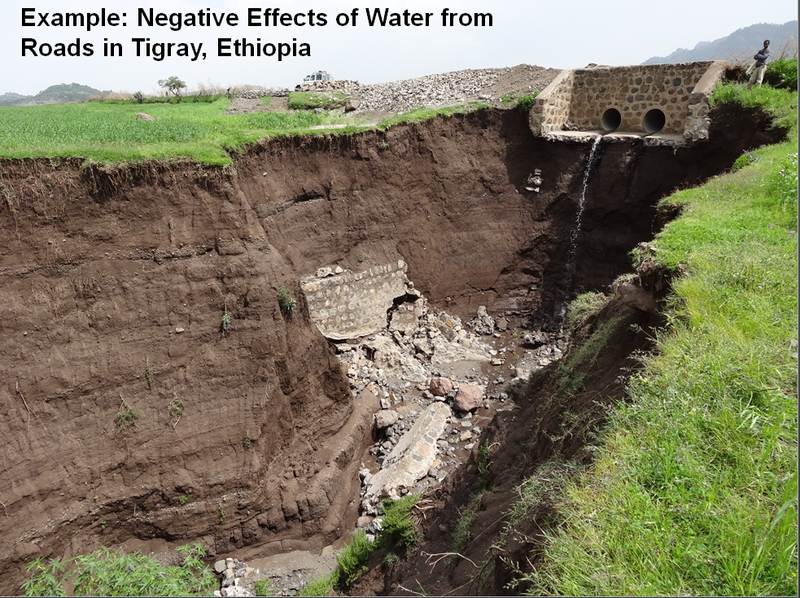 In the region of Tigray, the methods of road design have captured imaginations as well as water and now the government is keen to roll these ideas out further around the country.